If you use mobile imaging equipment (C-arm, ultrasound, endoscope, arthroscope) that doesn't have native DICOM, getting images from those systems onto your network will require a special solution. That's exactly where the MediCapture recorder comes into play. 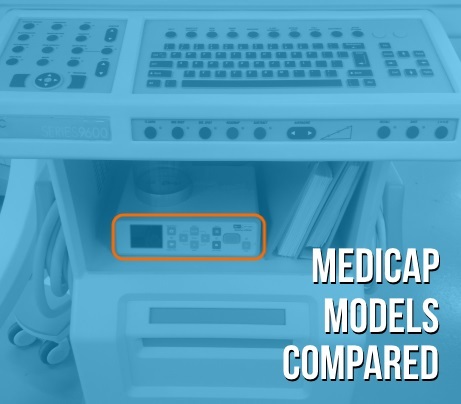 Of course, there are three varieties of MediCapture, so there's going to be a little leg work required to find out which one best fits your needs. Fortunately for you, we've done the leg work on MediCapture and compiled it below. Read on for a comparison of these three image transfer systems and their different capabilities. First and foremost, the USB170 only captures still images while the USB200 can capture stills or video and the USB300 can capture stills and video in high-definition. Because of this primary difference, there are a few things on the USB200 and USB300 that you won't find on the USB170: a built-in speaker to confirm audio capture, 3.5 mm audio in/out jacks, a play/pause button, and a "Capture Video" button. If you're looking for a simple way to store and transfer your images, a MediCapture device is an excellent way to achieve both. As for which type to buy, let the nature of your specialty be your guide. If your work uses cine, and you have a little more headroom in your budget- the USB300 is the top of the line. If you're doing cine work, but need to watch the numbers a little more closely, the USB200 is the way to go. And if you're taking primarily static images- there's no need to pay for features you won't use- the USB170 will be a good fit functionally and monetarily. 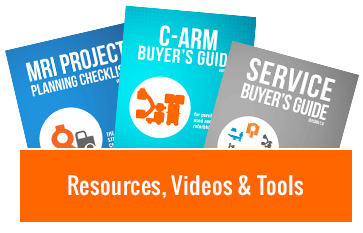 Kacy Cooper is a C-Arm Product Specialist at Block Imaging. He is also a husband, father, triathlete, Miami Dolphins super-fan, and karaoke mega-star! On top of all that, Kacy loves working with the C-Arm Team to help people choose excellent imaging equipment that will enable them to offer the best care possible for their patients.